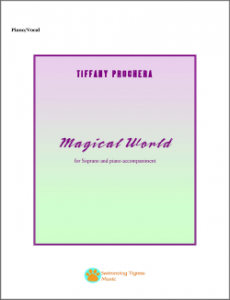 Swimming Tigress Music has a catalogue of sheet music for voice various instrumentation and voice available for purchase on our Swimming Tigress Shop in hard copy or as digital downloads! 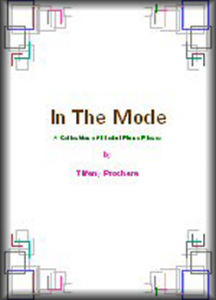 Just click on the cover to learn more about the music and then head to the Swimming Tigress Shop to get your copies! 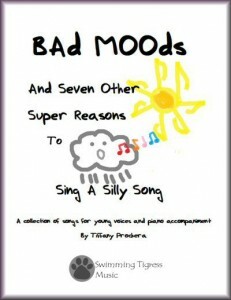 Music teachers, are you looking for vocal music for young singers?Check out Bad Moods And Seven Other Super Reasons To Sing A Silly Song, a collection of 8 songs that kids will love to sing and teachers will love to teach available as a digital download and hard copy and some of the favorite songs are available as downloads a la carte! 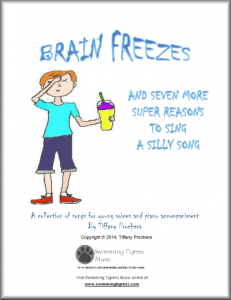 Brain Freezes And Seven More Super Reasons To Sing A Silly Song is the follow up to the popular Brain Freezes with 8 more songs voice teachers will love to teach and students will love to sing about everything from facing your fears to deciding what to eat first on your dinner plate! 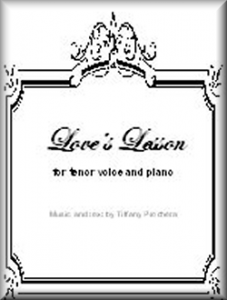 Available as a digital download and hard copy and some of the favorite songs are available as downloads a la carte! 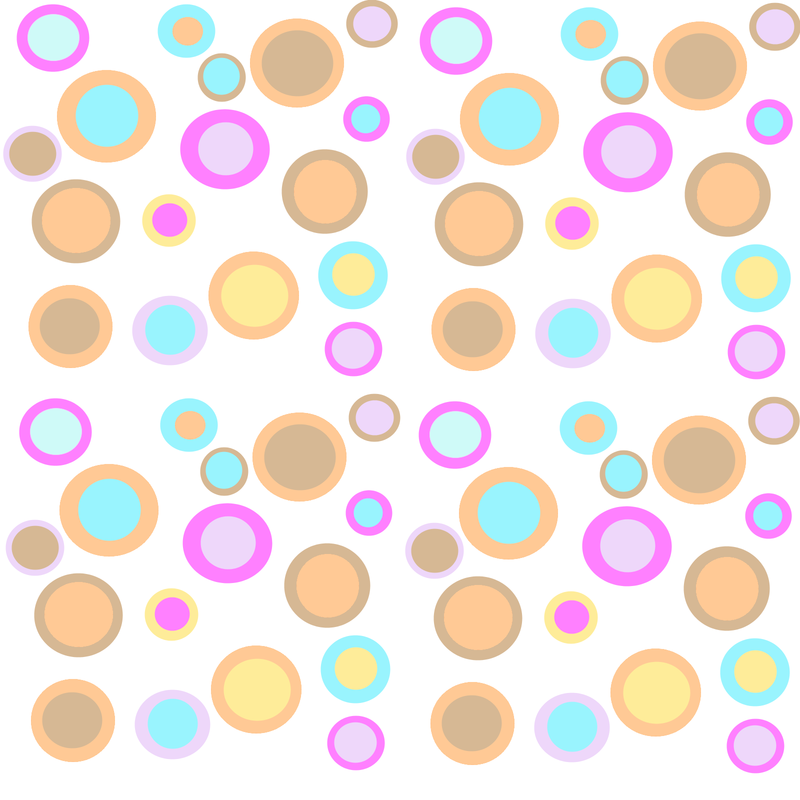 Are you an experienced vocalist looking for some exciting new repertoire? 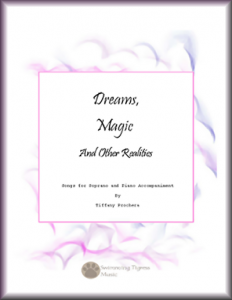 Check out the collection of songs for soprano with piano accompaniment, Dreams, Magic And Other Realities! The Legend of the Dentalia Necklace is a beautiful, lyrical piece for solo flute inspired by the myth of how the loon got its necklace.Click on the image to view the score and then go to the store to get your digital download In The Mode is a collection of songs for solo piano based on the modal system.